Buying a home can be an overwhelming process that requires making complex decisions. The following is a summary of the processes involved in purchasing a home. Another good resource is the Canada Mortgage and Housing Corporations (CMHC) Home Buying Guide here. So you've decided it's time to buy a home. The first step is talk to a mortgage professional. This can be done at a bank or with a mortgage broker. They will be able to pre-approve you for a mortgage based on your income and debt. Getting pre-approved for a mortgage will give you an accurate idea of what price range of homes you should be looking at. 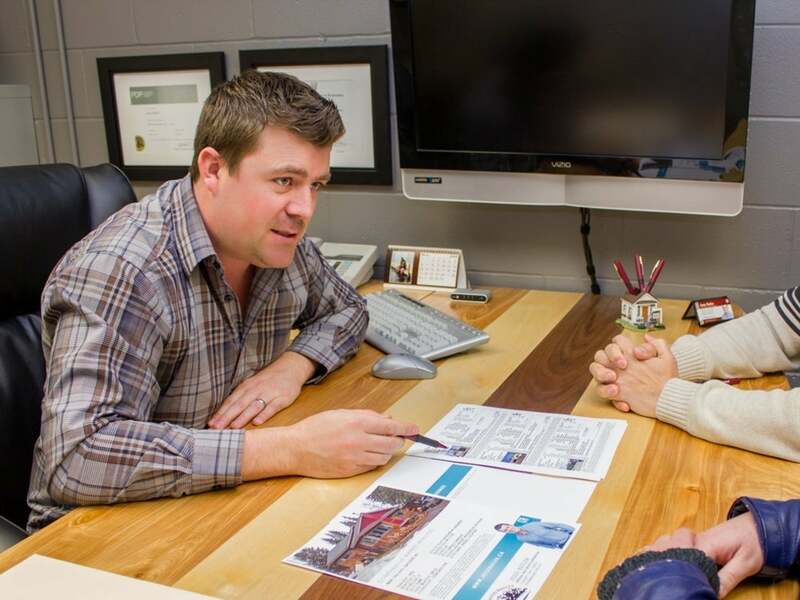 After being pre-approved and upon receiving an inquiry that you are looking to purchase a home, we arrange a meeting to establish your purchasing profile. Defining your needs, wants, location, price range, size, style, and time frame will help narrow the search for the most desirable properties. Finding the perfect home may take a while or it could be the very first property you see. It is important to know that once you find the right home, you must be decisive and act quickly. After establishing your search criteria, the next step is to look at prospective properties that match your search. We can arrange private showings to have a look at potential properties. While viewing homes it’s important not to disclose your interests or motives to any other Realtor, as they are obligated to communicate this information to their client. Once you have found the perfect home, it’s time to make an offer. I will help you draft the offer, establish a fair market value, the terms, conditions and dates that will give you the best chance of having your offer accepted. Writing offers is a precise process that carries substantial risk if done incorrectly. My experience and training will ensure that your offer is legally binding, enforceable, and written properly. Once an offer has been accepted that is only half the battle. There may be subjects or conditions to satisfy before the sale is firm. Typical subject clauses address financing, inspection, insurance, etc. As your agent I will ensure that you are protected and that you conduct the necessary due-diligence to make an informed decision. Once all subjects have been removed and the deposit has been delivered your property is officially sold. This is when the sold sign goes up. The time between the sale and taking possession may be as short as a couple weeks and up to several months. This time frame is dependent on the dates negotiated at the time of offer acceptance. After you have purchased your new home, the conveyance process begins. In this stage the seller’s and buyer’s lawyer or notary coordinate the transfer of title and funds on the completion date. If you do not have a lawyer or notary we are more than happy to recommend one of several professionals we work with. Once confirmation of completion is received, you may now take possession on the possession date and the process is complete. Down Payment: To purchase a property, you're going to need some form of a down payment. It's a good idea to have at least 10%–25% of the sale price. Talk to your lender to confirm these details. Deposit: Upon receiving an accepted offer on the property a deposit is typically required to be paid within 24–72 hours. The amount of this deposit is normally between $1,000–$50,000 depending on the price of the property. This will normally form part of your down-payment or legal fees depending on the size of the deposit. Home Inspection: We always recommend a home inspection to notify you of any current or potential issue with the home. These cost approximately $350–$450. Property Tax Adjustment: You will be responsible for paying the property taxes for the remainder of the year. Property Transfer Tax: 1% of the first $200,000, 2% of the remainder up to 2 million, and 3% the remainder of the sale price of the property. To see if you're exempt from paying this tax click here. Legal Fees: Normally legal fees are around $1,000. This can vary depending on how many titles there are and registering a mortgage. Title Insurance: You may be required to obtain title insurance in lieu of a Certificate of Location. This cost is roughly $150.